Let us pray: Gracious God, look upon us with kindness as we make our Lenten journey. Open our eyes to see you at work in our lives, in our church, and in our world. Amen. 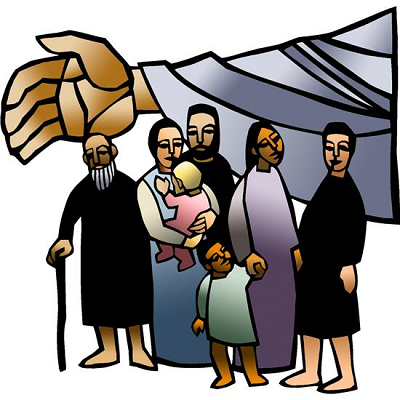 ADULT FAITH FORMATION TODAY – We continue our study of the action-packed book of Acts. 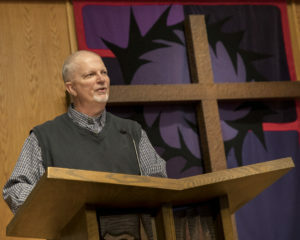 Pastor Dave is our guide between services, 10:15 to 10:55 am, in the Library. SOUP SUPPERS AND WEDNESDAY LENTON SERVICES – Lenten Midweek Worship continues this Wednesday. Soup Suppers begin the evening from 6 to 7 pm in the Fellowship Hall, followed by 45-minute worship services in the Sanctuary. We’re trying a new “soup strategy” this season. This Wednesday and next are covered by ladies in WELCA Circles. Men, you get your chance to show off your culinary skills – or pick-up prowess – on March 27. The following week, April 3, we’re asking the “youngin’s” to provide soups – all members 50 and younger. 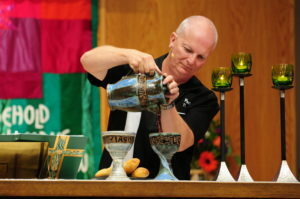 For the final Lenten Midweek, April 10, our elders (50 plus) are asked to bring soups. Each week we will also need setup and cleanup helpers – anyone can sign up for any week. We need a minimum of four soups each Wednesday, each of which to serve 10 or more people, to be brought in by 5:45 pm. Thanks for volunteering to help continue this well-loved Cross of Christ tradition. Sign up at the Information Desk in the Narthex. REUNION SUNDAY COMING! – Mark your calendars for our next Reunion Sunday, March 31. In months with five Sundays, we gather as 10 am for a combined worship service on the fifth Sunday followed by a congregational fellowship event, which this month is a Spring Brunch and a game of “SPRINGO” with fun, spring-theme prizes. MARIE SCHOTT IN “MARY POPPINS JR” – Cross of Christ’s own young actress Marie is part of the cast as the Redmond Academy of Theatre Arts presents this delightful tale of the magical nanny and her charges. Performances are scheduled for March 28, 29 and 30 at 7 pm, and March 30 and 31 at 2 pm, at the Redmond High School Performing Arts Center. Tickets available at the door or via brownpapertickets.com. Good luck, Marie! FREE FIREWOOD – There is a pile of firewood in the back parking lot near the picnic tables. Please help yourself. SPRING LUNCHEON – SAVE THE DATE – Saturday, April 27 is the date for the annual spring luncheon. The theme this year is “Empowering Girls Education” (Days for Girls). Join us as we hear from two women involved in educating girls in two African countries. Mark your calendars for 11am on April 27. More information to come.